The Premise. All those New Year’s resolutions to lose weight are already two months old. A small percentage of them are probably still in progress, most have already been given up on, and some never even got started. Of course, it’s harder to turn down a workout with a trainer that can motivate, push, and correct issues with form or impact. The Product. The Moov is designed to be the personal trainer that it doesn’t feel awkward working out in front of. Pairing with a mobile device (only iPhone 4s or above supported currently), the Moov can be attached or worn anywhere to monitor movement and track stats. More than just a simple pedometer, the Moov can have apps created for virtually any kind of workout, with built-in support for running, body weight workouts, cycling, boxing, and swimming (it’s waterproof). Most of these workouts only require the base Moov, but boxing works best with a second unit, one on each wrist, and up to five can be used in conjunction with each other. 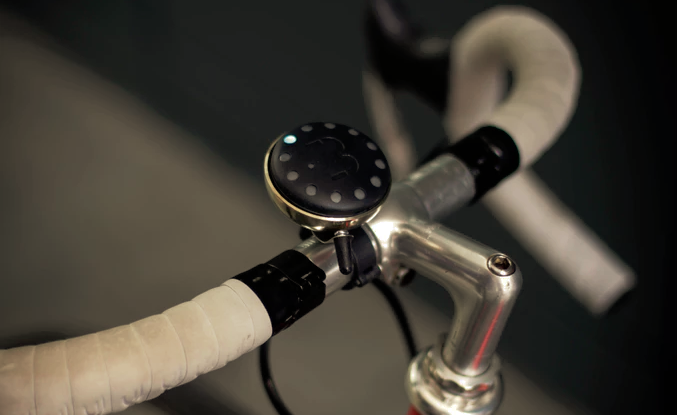 This way, not only will distance or reps be tracked, but the device can even provide suggestions to help exercise more safely and effectively. The Pitch. The Web site for the Moov is pretty underwhelming and just sort of generic 2014 startup with plenty of big pictures and lots and lots of scrolling. The video ads are slick though, and show off the flexibility and possible applications the device could have beyond workouts, though hearing Apple’s Siri as a fitness coach feels less encouraging and more like an Orwellian state-sponsored physical fitness mandate. Moov needs $40,000 to hit the ground running. The Perks. The Moov can be pre-ordered for $59.95 (half the retail cost), but the product’s creators also offer backers a nifty referral link that others can click through to pre-order as well, earning the original backer a $5 credit for each pre-order. The first batch is expected to ship in the summer of this year. The Potential. Moov is a lot more versatile than the average fitness band, and the coaching and multi-device usage really help it stand out; of course, the quality of that coaching remains to be seen. It’s adaptability to different exercises remind one of the Atlas, byt Moov’s approach is quite different. Many people with Fitbit friends know that it becomes all they talk about or post on social media. The Moov looks like the next evolutionary step in personal fitness devices, and will certainly command the same kind of enthusiasm from anyone trying to get or stay in shape.